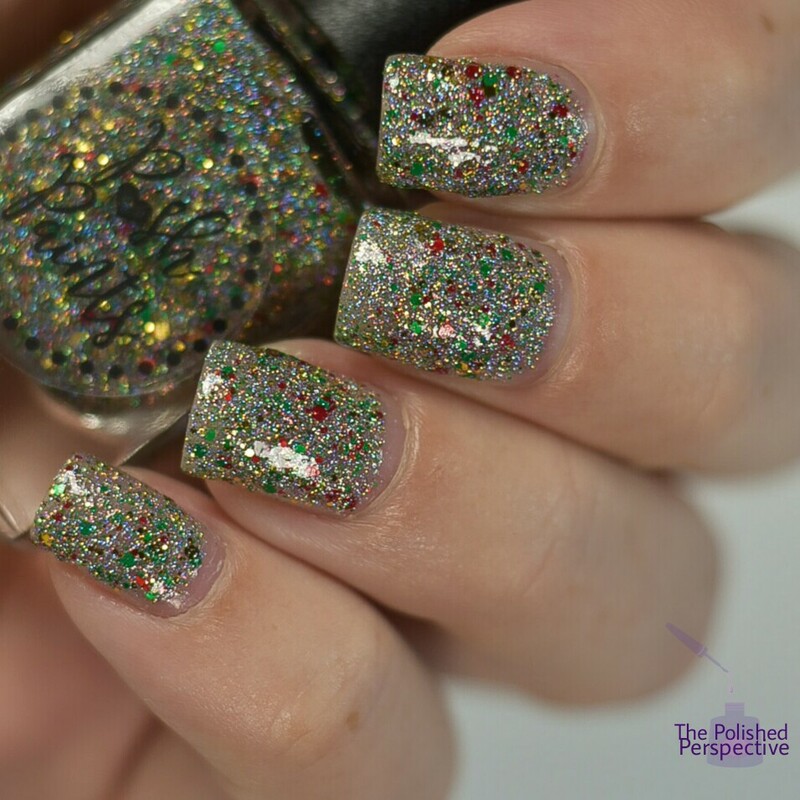 A green jelly base with micro holographic flakes and gold shimmer. This is a great holiday green and the formula is fantastic. 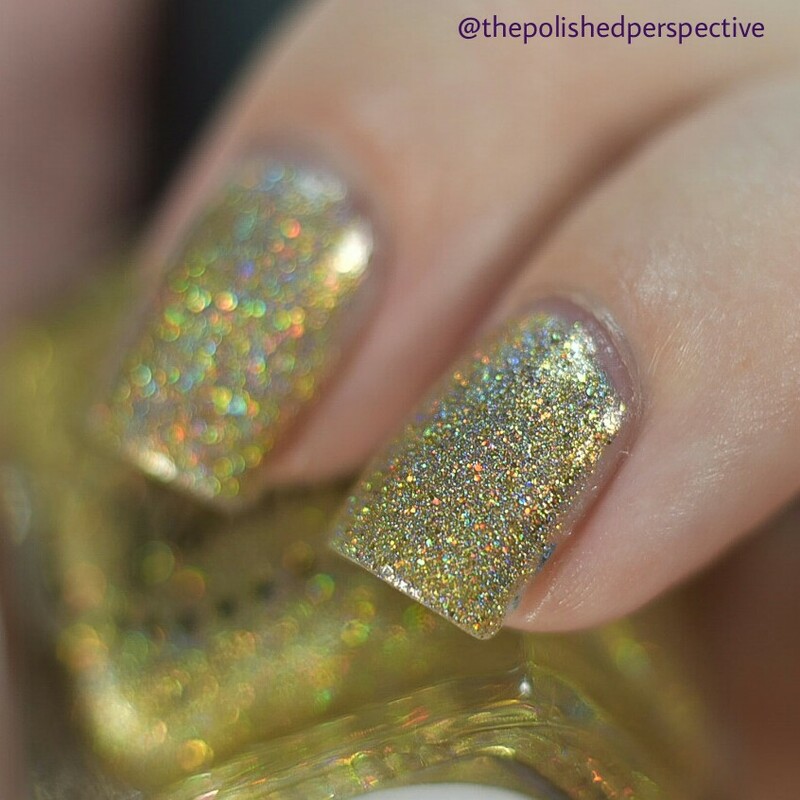 My swatch is shown in two thicker coats plus top coat. 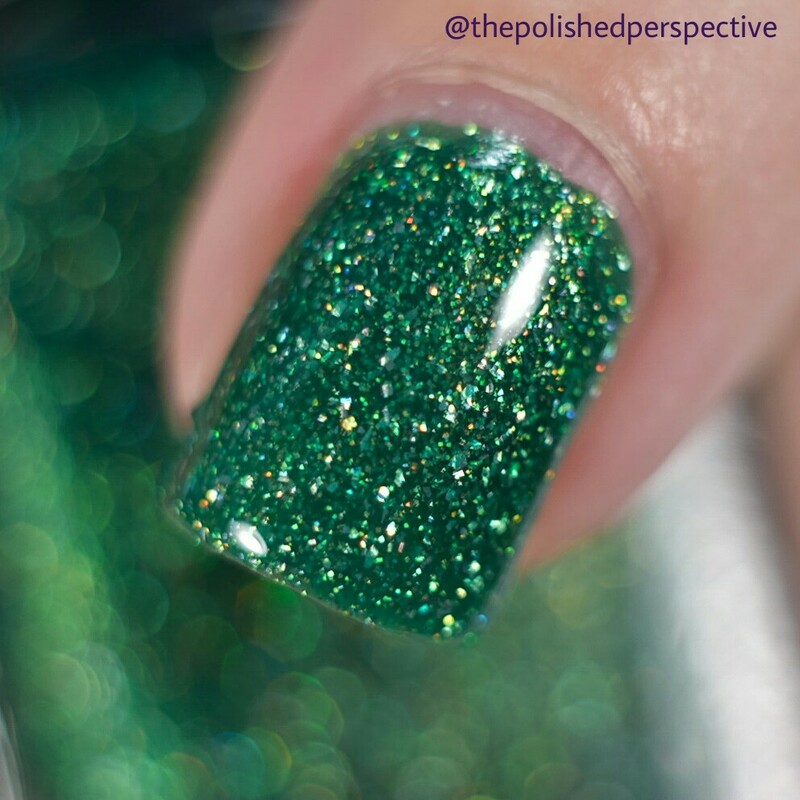 But, you may want to do it in three thin coats depending on how you like to apply your polish. 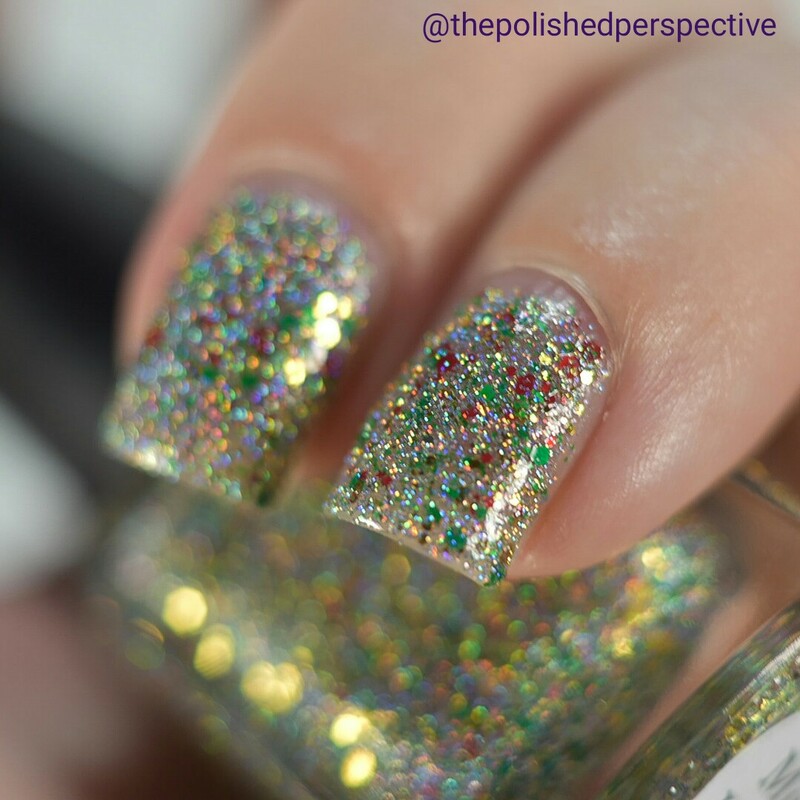 Micro holographic flakes and multi sized holographic glitters in a clear base. 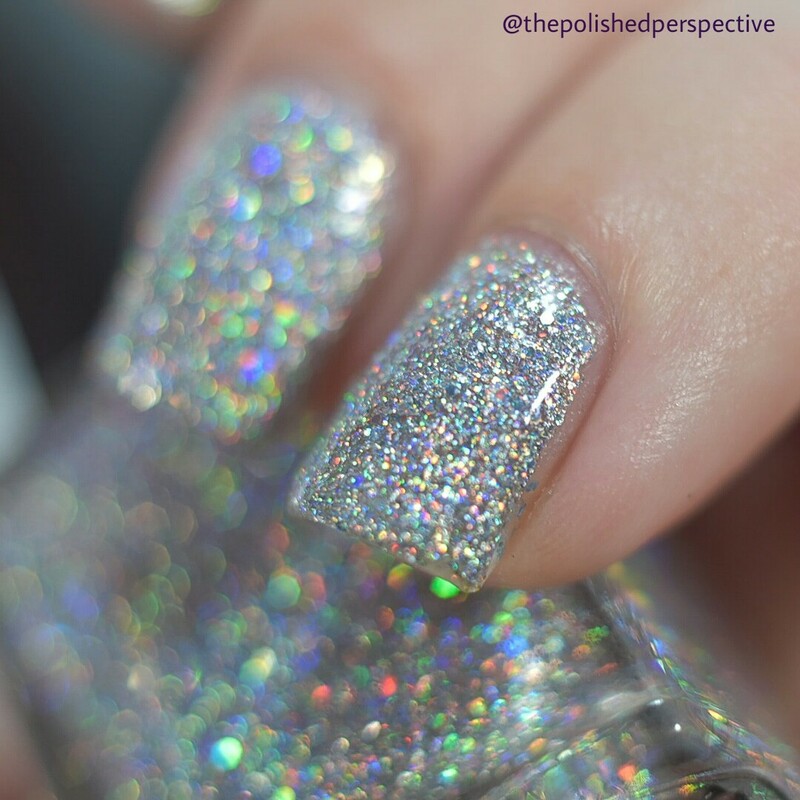 This looks like glistening snow on the nail! 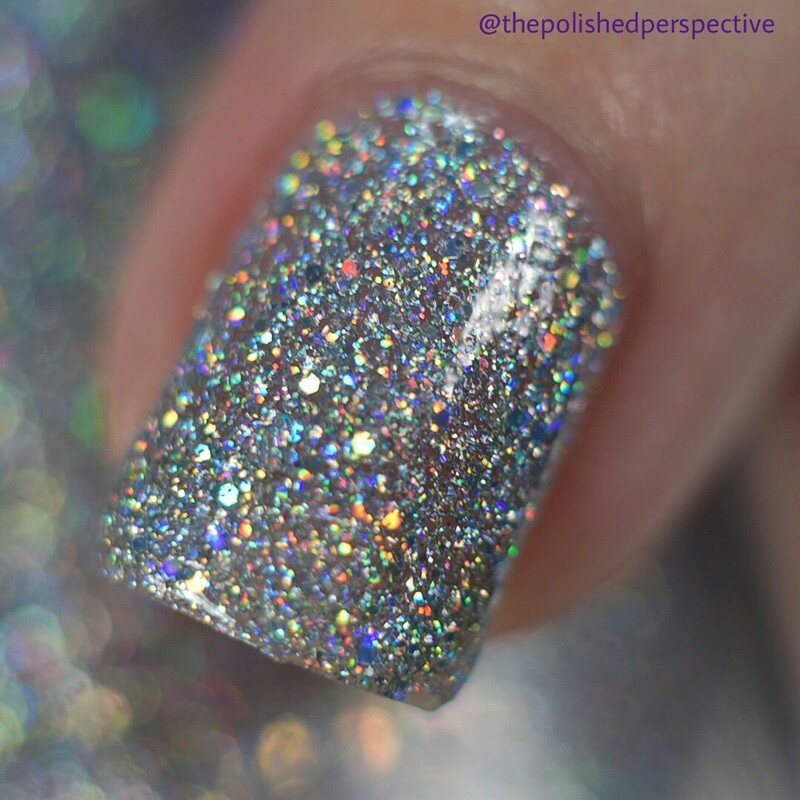 This one is gorgeous! 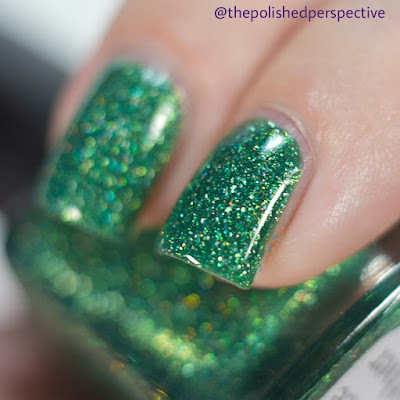 My swatch is shown in two thicker coats plus top coat. 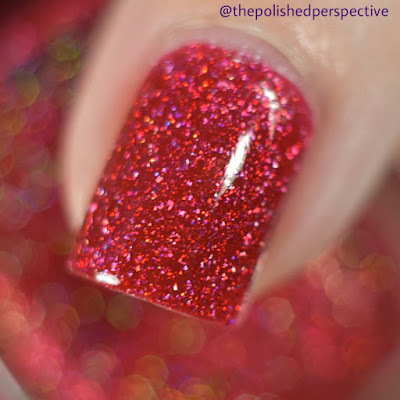 A red jelly base with micro holographic flakes and micro holo glitters. 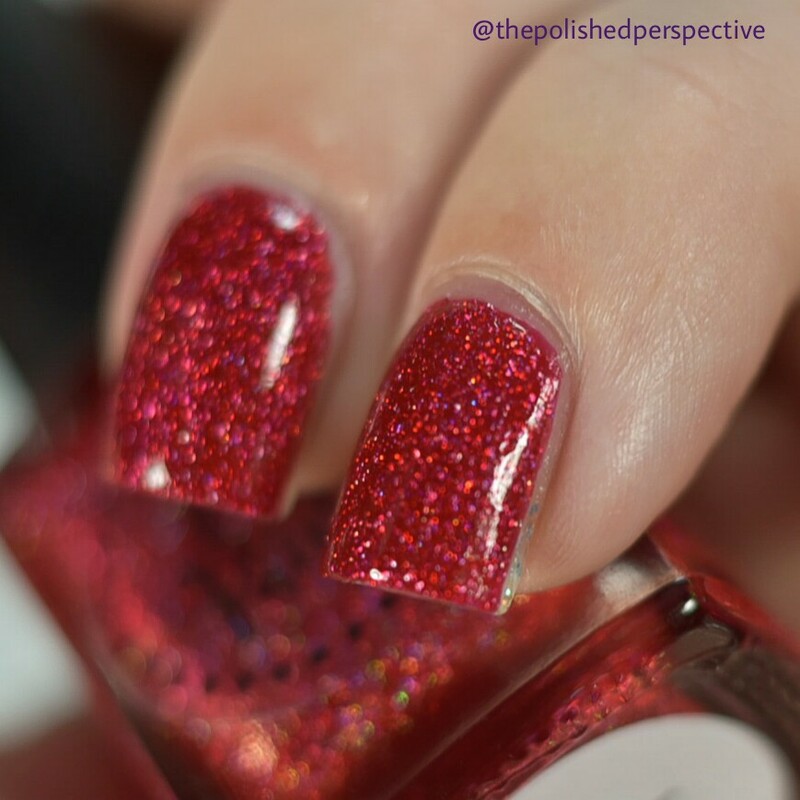 I love this shade of red for the holidays! 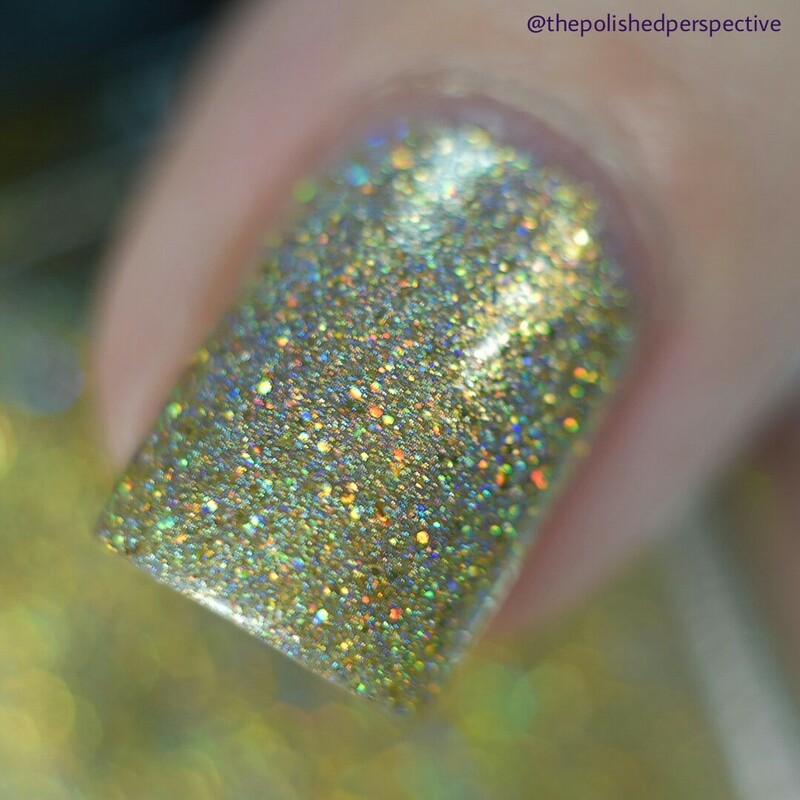 My swatch is shown in two thick coats plus top coat. 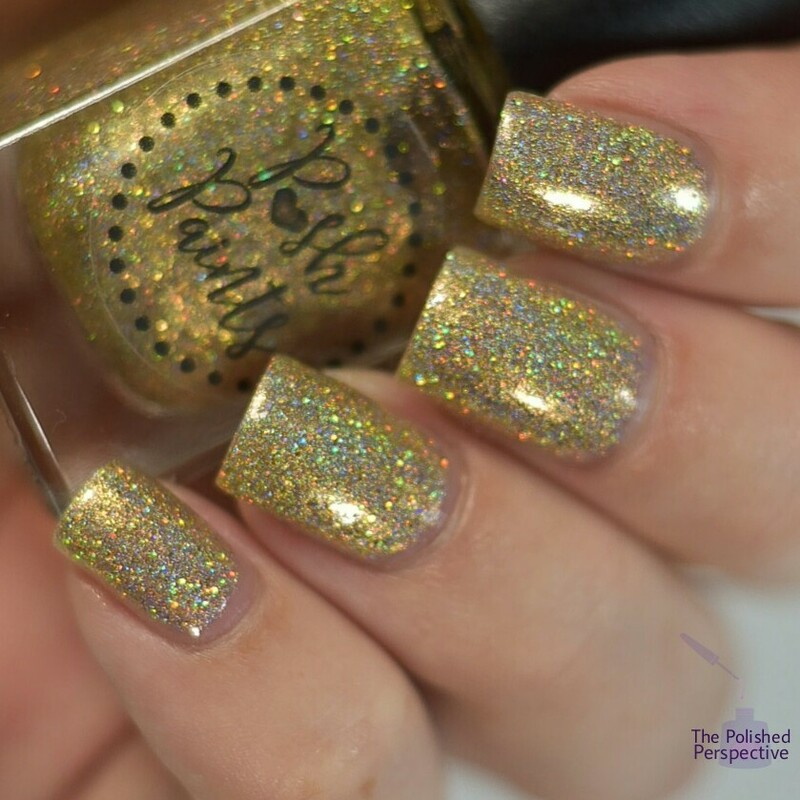 A yellowish gold base with a mix of various sized gold holographic glitters, holographic pigment, and gold shimmer. I love this gold! 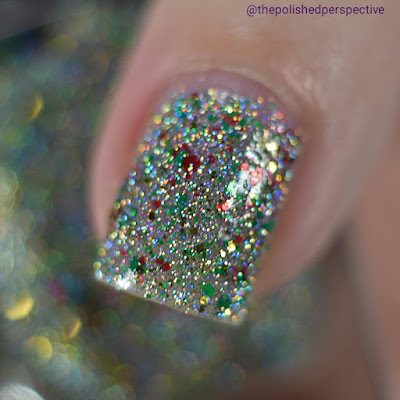 I have already decided that this will be my New Years mani. Green, Red, and Gold various sized glitters in a micro holographic base. 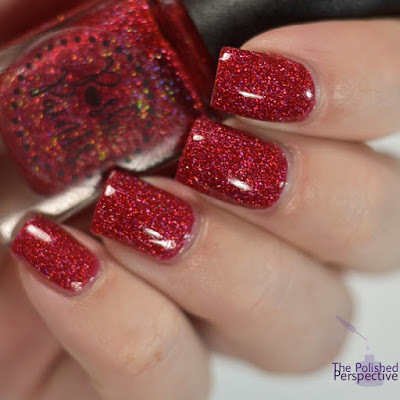 This one screams Christmas and I dig it! I can't really decide which one would be my favorite. What do you think? Do you have a favorite? 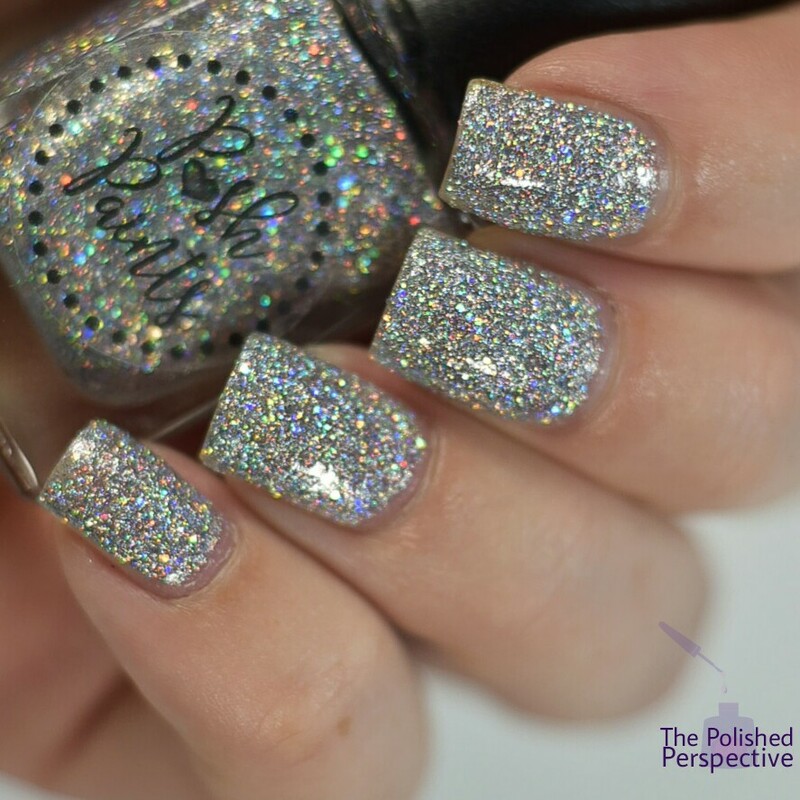 Check out Posh Paints for ordering information on the Holiday 2016 Collection! I am a sucker for holo Flakies, and these look glorious! I want to mix the silver and gold. This whole collection is gorgeous! Very festive. What a classy collection! Love Meet Me Under The Mistletoe. 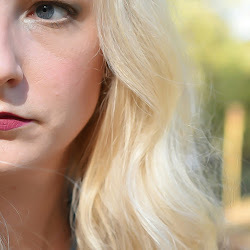 I have never tried this brand but your amazing swatches make me want the whole collection! Meet Me Under the Mistletoe is my favorite, but these are great micro glitters. Never heard of this brand before. 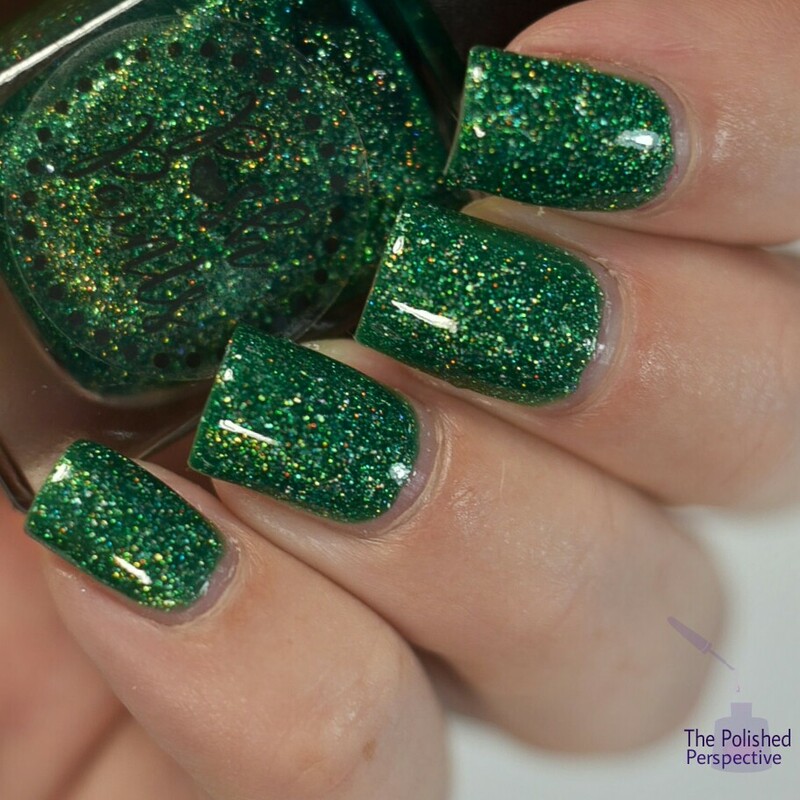 These are all gorgeous the green screams Christmas and that red is so sassy! These look fabulous, I love them all! 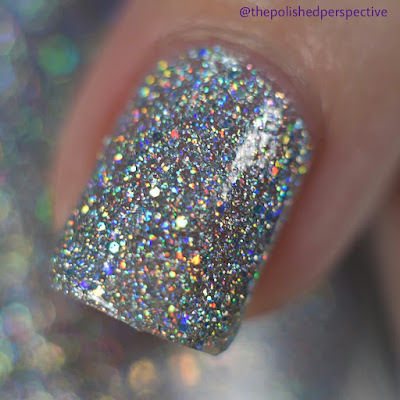 Stunning swatches! I adore this collection!! They kept the colors traditional, and they're so perfect.